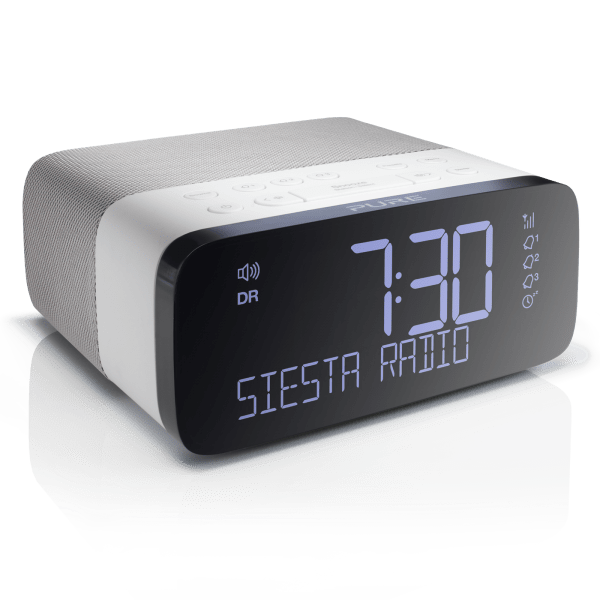 After the success of the Siesta radio series, it was only natural that Pure improved upon their popular radio series, and so they have announced the Siesta Rise, an aptly named radio to help you rise up every morning. The features are fairly similar to the Siesta, with improvements of course. The Pure Siesta Rise is quite different to look at compared to the old Siesta. It is more rectangular, or cube like if you may. The complete front forms the ultra clear screen, which shows you time in a big display, as well as other information. The top features all the buttons, while a fabric covers the speaker all around. Power Input, which is a micro USB port, so any (almost) phone charger capable of delivering 2A will do, though you can always plug the included power supply in. A USB port, with a 1A output, to charge your phone overnight. The bottom features padded feet as well as 4 screws. We did not delve any further! The time is featured on an ultra clear display, which is auto dimming. This makes it ideal for the bedroom, as stray light is never welcome once the lights are out. The display dims in clear steps once the light turns off, to a very dim, but still legible level. Probably one of my favourite features. The display does the same when radio is playing as well. Of course, mix this with the sleep timer, and it even turns itself off for you! You have options of 15, 30 or 45 minutes. The general setup to set up alarms is fairly intuitive and easy. The instructions are clear, and once you have done it once, you probably don’t need to refer to it again. The alarm works in a very gentle way, slowly getting louder, waking you up in the gentlest way possible. The sound on the DAB is more on the heavier bass side, which works great for most radio. It will not blow your mind away, but includes a gentle warmth about it, which should be pleasant when you wake up in the mornings. Of course, it serves well as a radio in most circumstances. As far as different genres go, while classical is not really its forte, it works great for rock/pop and bass heavy music, as well as spoken word. The radio can be turned up fairly loud, which means it can work great in open spaces as well as office environments too. It is also available to buy from the website, and retails for £79.99. It is also available from other retailers such as John Lewis. I am a big fan of the little things, and this little radio delivers well on all the little, well thought out details. 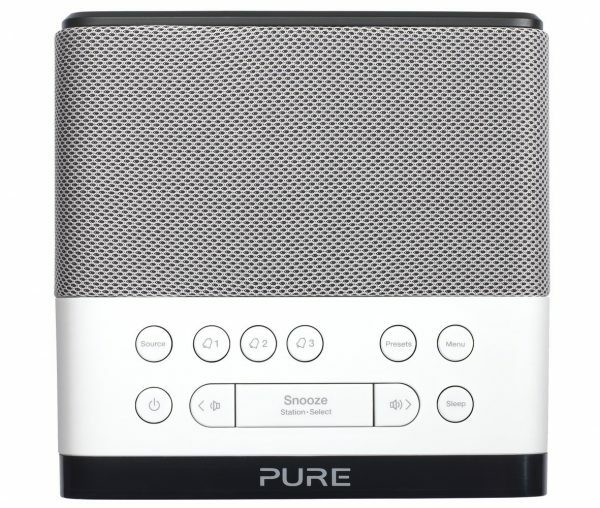 From the auto-dim display to the gentle radio sound, it ticks all the boxes to be my bedside radio.